The “prosperity gospel” that U.S. President Donald Trump and many of his advisers and followers seem to espouse does not promote solidarity for the common good, but sees God as giving his blessings to the rich and punishing the poor, said an influential Jesuit journal. The philosophy “is used as a theological justification for economic neo-liberalism” and is “a far cry from the positive and enlightening prophecy of the American dream that has inspired many,” said the article in La Civilta Cattolica, a journal reviewed at the Vatican before publication. The article was written by the journal’s editor, Jesuit Father Antonio Spadaro, and by Marcelo Figueroa, an evangelical pastor, who is director of the Argentine edition of the Vatican newspaper, L’Osservatore Romano. The first article, published in July last year, was titled “Evangelical Fundamentalism and Catholic Integralism: A Surprising Ecumenism” and examined what the authors saw as growing similarities in the rhetoric and world views adopted by some evangelical fundamentalists and some “militant” Catholic hardliners. The article set off widespread debate, ranging from criticism that it was a superficial reading of the U.S. reality from the outside to praise for shining a light on ways that some tenets of the Christian faith have been manipulated for political gain. The new article describes the “prosperity gospel” as a theological current that emerged from neo-Pentecostal evangelical communities in the United States and is thriving now in Nigeria, Kenya, Uganda, South Africa, South Korea, China, Guatemala, Costa Rica, Colombia, Chile, Argentina and Brazil. 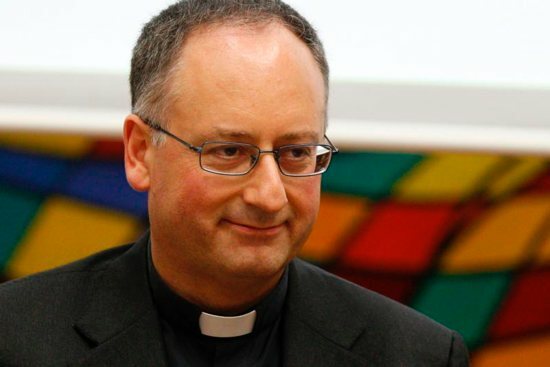 They see the purpose of faith as being to win God’s favor, which is demonstrated in material wealth and physical health, a position that is “far removed from the life of conversion usually taught by the traditional evangelical movements,” Father Spadaro and Figueroa wrote. “One of the serious problems that the prosperity gospel brings is its perverse effect on the poor,” the authors wrote. The philosophy “not only exasperates individualism and knocks down the sense of solidarity, but it pushes people to adopt a miracle-centered outlook,” which allows them to wash their hands of the obligation to work for justice and accept sacrifices for the common good.